The Snapper single seat hovercraft was designed with three goals in mind. It had to be fun, economical and reliable. The Snapper II is the embodiment of all three! Insanely fun to drive, this is the craft that produces nothing but fun and excitement for anyone who experiences it. The handling is instantly responsive, making the machine feel like an extension of your body, doing exactly what you want it to. As for economy, not only is it one of the lowest cost new hovercraft you can buy, but also the average fuel burn is a minuscule one gallon per hour, so it costs almost nothing to operate! Don’t forget reliability. With the same proven drive system and hull design we’ve used for years, plus the rock-solid Vanguard four-stroke engine all backed by a full Hoverstream warranty, you’re going to find it remarkably easy to operate and a HUGE exciting ride in every way! If you’re hungry for a hovercraft, the Snapper II can’t be beat! The Snapper offers superb buoyancy and freeboard. The attractive, but strong GRP hull has been designed to reduce drag and lift at high speeds, yet remain lightweight and durable. The new Snapper II floor features a composite floor with Kevlar reinforcement on bottom for the best protection possible with very little weight. All fittings used in construction are of marine quality - designed for use in a saltwater environment. It can be supplied on a one-man, easy-load trailer and can be unloaded and on its way within a couple of minutes. It can also easily start from a dead stop in water up to the rated hump capacity. Auxiliary flotation foam is found throughout the inner hull, providing exceptional buoyancy. This means the craft can be safely shut down on water at any time when loaded up to its operating capacity. The Snapper II single seat hovercraft was designed with three goals in mind. It had to be fun, economical and reliable. Insanely fun to drive, this is the craft that produces nothing but fun and excitement for anyone who experiences it. The handling is instantly responsive, making the machine feel like an extension of your body, doing exactly what you want it to. As for economy, not only is it one of the lowest cost new hovercraft you can buy, but also the average fuel burn is a minuscule one gallon per hour, so it costs almost nothing to operate! Don’t forget reliability. With the same proven drive system and hull design we’ve used for years, plus the rock-solid Vanguard four-stroke engine all backed by a full Hoverstream warranty, you’re going to find it remarkably easy to operate and a HUGE exciting ride in every way! 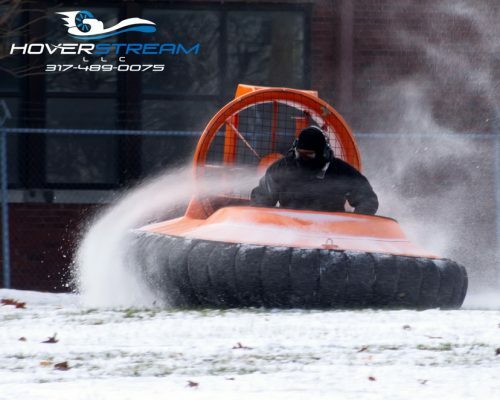 If you’re hungry for a hovercraft, the Snapper II can’t be beat! 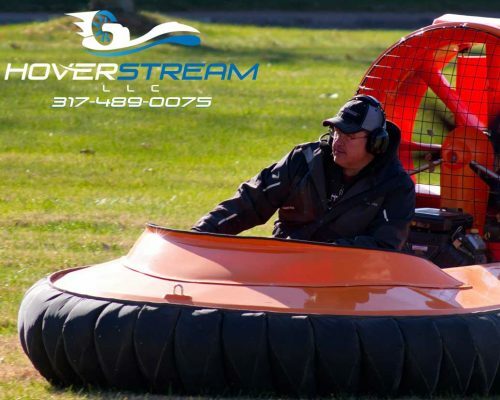 Four-stroke hovercraft are the wave of the future! Using a fraction of the fuel, they’re immensely quieter with far fewer emissions. We discontinued two-stroke powered craft long ago and became the first hovercraft manufacturer to use the ‘Big Block’ Vanguard motor. The use of environmentally friendly, low emission four-stroke power is becoming necessary in many sports previously dominated by two-strokes. 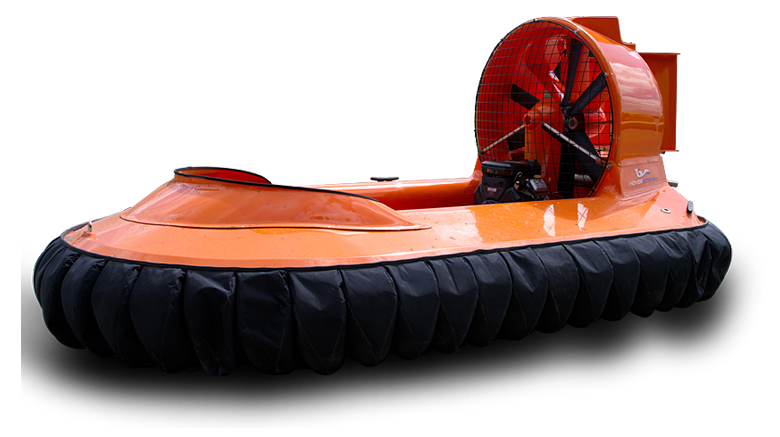 Quieter, cleaner, far more reliable and a fraction of the fuel consumption means a better hovercraft experience for everyone! The Snapper II has a low seat with the driver in a kneeling position, enhancing the sporty feel of the machine. Shift some of your weight to one knee or the other, and the hovercraft will turn that direction. It really feels like an extension of your body with very little practice. For ultimate comfort, we offer a padded and upholstered seating upgrade that gives two inches of high-density foam padding for your seat and knees. Control is by a simple handlebar steering with throttle control. Most people are driving it easily within a few minutes! Steering is precise and because of its lightweight, small size, and excellent thrust, it’s much faster and more responsive than other craft in its class! 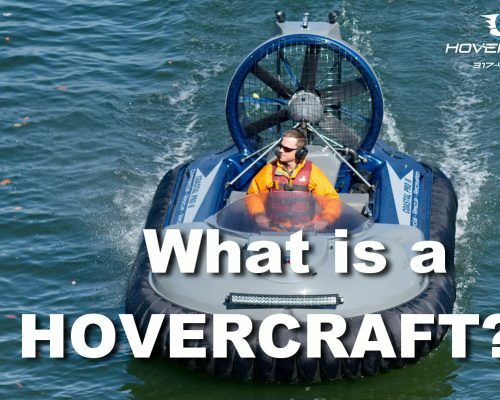 There is no legal requirement for a license or qualifications to drive a hovercraft. However, like any other vehicle, it’s crucial that you prepare properly for its use. Failure to respect your environment can land you in trouble, whatever you’re driving. We’ll provide you with the support and service you need and teach you how to drive your new craft as part of the ‘handover’, but if you have no maritime experience, we recommend gaining some basic experience in a safe place before venturing out to remote areas. 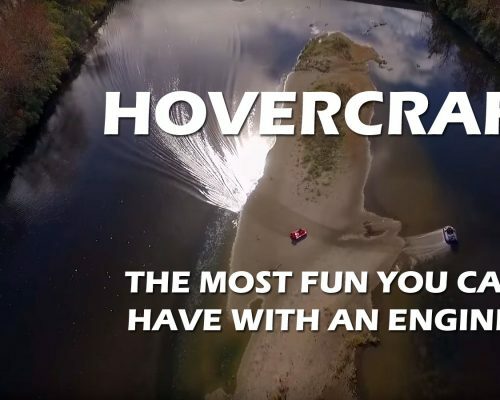 We strongly advise joining the Hovercraft Club of America and, initially at least, using your craft with others at organized events to gain more experience. Always remember to equip yourself adequately with all necessary equipment. As with any boat, life jackets should be worn at ALL TIMES. Bring along proper clothing, register the craft with your state and carefully check the weather conditions before setting out on your journey. For any questions or concerns, Hoverstream is always available to provide expert advice and help you with any support assistance needed for reliable service that exceeds your expectations. Seating GRP seat for one person. Padded seat/knee cushion optional. Range Approx 3 hours or 60 miles depending on conditions. Maximum Speed Approx 30 mph in ideal conditions depending on load. Cruising Speed Approx 25 mph depending on conditions and load. Skirt 52 individually replaceable segments. Storage Side pockets, under seat storage. This upgrade converts the kit package Snapper into a finished, ready to go turn-key hovercraft. The highest quality marine vinyl with 2 inches of high density foam for the most comfortable driving experience. We want to hear from you and would be happy to answer any questions you may have!